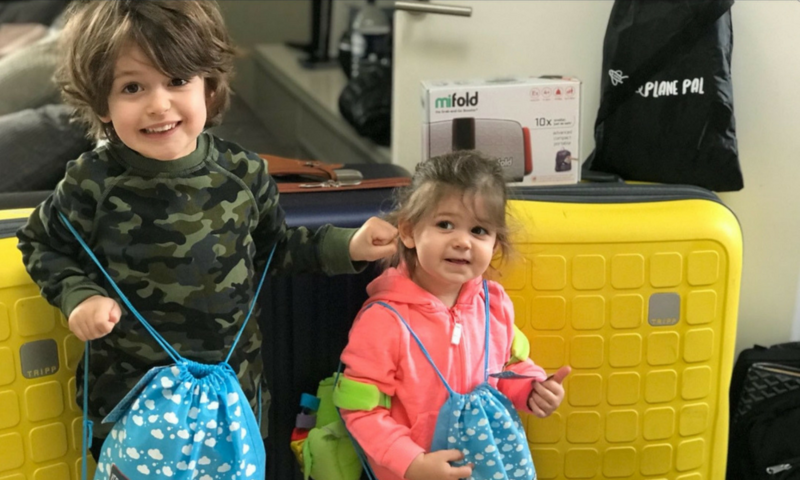 After spending a fortune to keep my son busy on our first flight to Spain with his newborn sister, we saw a gap in the market for pre-made travel packs for kids. Our packs are designed for travel, as well as to continue to use on holiday. From coloring, stickers, educational items, games, arts and crafts and toys they are crammed with goodies to keep the little ones busy. Best to stagger the items, so that when interest wanes for one activity they can move on to the next. Packs start at £10.99 and bubble parents can save 12% with code BUBBLEKEQ. We also take our Amazon Fire with games and films to mix up the entertainment, especially on long flights or when they are getting sleepy. The saying goes that the way to a man’s heart is through his belly – well, the way to keep kids happy when you travel is to keep them full. Even if that means they eat ten packets of crisps on a travel day! I would say, put to one side your usual food worries when you travel. Our packs have healthy snacks with no refined sugar which are perfect, and I also make sandwiches which I take in a container. My son especially would not touch plane food, so sandwiches and snacks are our best option to avoid hunger meltdowns. Do not forget a change of clothes for your child and YOU. I made a rookie error last summer packing a change of clothes for my daughter but nothing for me. Fast forward to awful turbulence and a child prone to travel sickness and you get the picture… all over her and me! So always always pack a spare top for you too. And whilst we are at it, discussing all the possible scenarios involving a change of clothes… pack antibacterial wipes too. Flying to LA at Easter we had an explosive nappy situation – all I can say is thank goodness for a change of clothes and the antibacterial wipes on that occasion. 4) Keep them in the time zone. If flying long haul, try to get onto the new countries time zone as soon as you step on that plane. Let routines go out the window whilst they adjust. My kids stayed up until London time 1am while flying to LA and then ended up being awake when we landed in LA until really late. Within a few days they had adjusted themselves. The worry about jetlag is always worse than it will be and they tend to adjust pretty quickly. As for coming home, try and get back into routine ASAP as this will help in the long run even if you are shattered for a few days. Comfort is key! 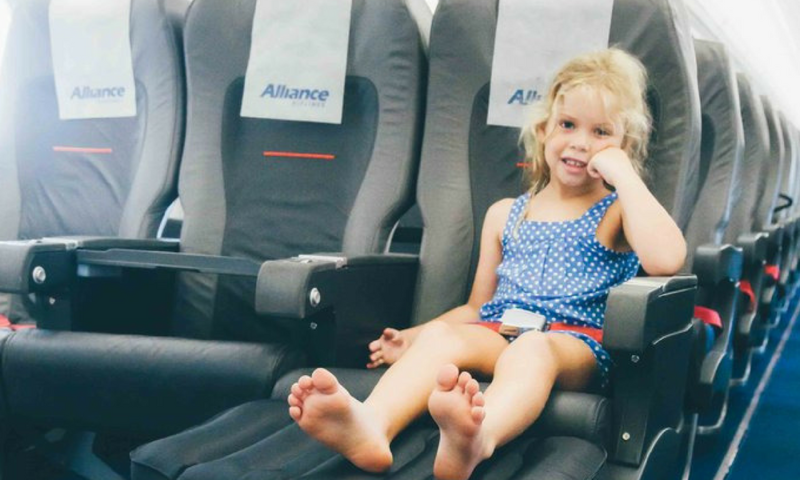 We travelled to LA and used Plane Pals to give the kids some extra leg room. Especially when it came to them sleeping these were genius. I was shocked myself as they lay down and went to sleep as they would at home in their own beds. They are so simple to inflate and deflate and take up very little room in the hand luggage. I would struggle to travel economy and not use a Plane Pal now. They have become a travel staple of ours! Finally, just remember, the journey time will pass and you have all the holiday memories ahead of you to be made. Pack yourself an eye mask (try Space Masks – heaven!) and use one once you arrive to unwind. You’ve survived!